Sheryl Reichert, president and CEO of the Better Business Bureau of San Diego, Orange and Imperial Counties. Jury duty is both a civic duty and mandatory, but scammers will look to profit from situations if uncertainty exists. Con artists posing as court officials are telling people they missed jury duty and demanding they pay a fine. Here’s how the jury duty scam works: Scammers will contact you, claiming you’ve missed jury duty. The calls or messages will threaten people with arrest or jail time if they don’t pay the fine for missing jury duty. The con artists may even provide names of federal judges, courtroom numbers and addresses in an attempt to make the scam believable. Consumers have stated the phone calls sound very official, especially when the scammer says the judge has issued a warrant for their arrest for failure to appear and if they didn’t pay the fine, deputies would be sent to arrest them. In other cases, the scammer will ask for the victim’s confidential information for “verification” purposes. Facing the unexpected threat of arrest, victims can be caught off guard. Unfortunately, the jury duty scam is just clever enough to pay dividends for fraudsters. Clearly, the purpose of this scam is identity theft. Scammers are seeking personal information, such as bank account or credit card numbers and Social Security numbers in order to steal your identity. The Better Business Bureau advises that if you get a call from someone who claims to be a court official and is asking for sensitive personal information or demands a payment, it’s a scam. When in doubt, hang up. In San Diego County, jury duty notices are sent through the mail. Nobody will call you on the phone or send an email or text demanding payment for missing jury duty. If you did indeed miss jury duty, you will be sent a notification in the mail. If you feel you may have missed jury duty, call the nearest courthouse to verify if you have been summoned. Don’t let scammers pressure you, and always guard your personal information. Never disclose sensitive personal or financial information over the phone. If you get a call from alleged court officials asking for financial information, ask for the caller’s name, address and telephone number. Reply by saying, “Let me check this out and I’ll call you back,” but don’t trust the phone number they give you. Scammers have the ability to use software to disguise how they appear on your caller ID. While calls might appear to be from your local courthouse, it could be a fraudster on the other end of the line. Instead, end the phone call and report the scam to the BBB. The BBB offers free educational information on how to be aware, informed and proactive so people can protect themselves against frauds and scams. For additional consumer protection information, visit www.bbb.org or contact the BBB by phoning (858) 637-6199. 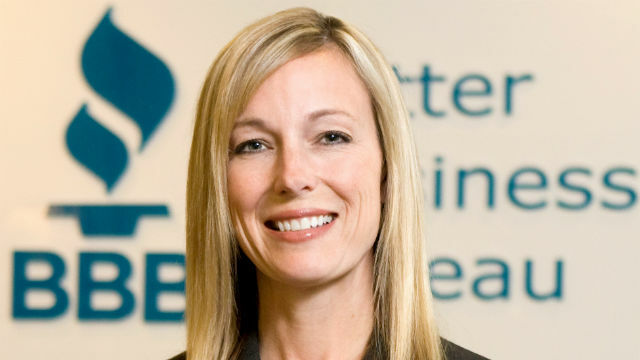 Sheryl Reichert is president and CEO of the Better Business Bureau of San Diego, Orange and Imperial Counties.